"True North 20|22" captures both the short-term strategy for success for UNR Med, and the aspirational, adventuresome nature of the journey we will take to get there. UNR Med is proud to be a research-intensive medical school that is also highly-engaged with the community. The focus is on northern Nevada, with a statewide vision to contribute to "A Healthy Nevada." If strategy is "what" we do, culture is "how" we do it. True North will guide what we work on and how we work together to support the mission and vision of the school. Our True North is the guiding light for achieving excellence, in which all of our missions converge on clinical care of the highest quality and compassion. an environment that attracts and retains ambitious and compassionate learners, faculty, and staff from all backgrounds. Our True North provides a path to equitably supporting employee development, satisfaction and well-being. If Reno is the "Biggest Little City," UNR Med is the "Biggest Little School of Medicine." 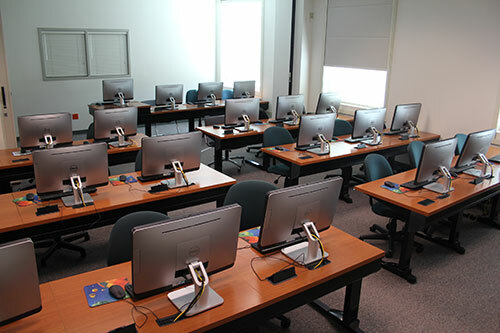 We are proud to be part of a growing R1 institution while maintaining an intimate training experience for our learners. 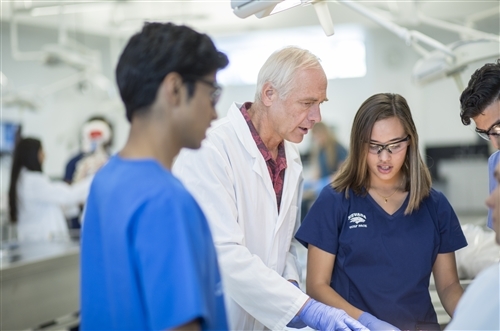 As Dean Schwenk put it, "UNR Med is a unique medical school: We are at one and the same time community-engaged and research-intensive, striving toward a culture of unrivaled research and unlimited breakthroughs." We have big dreams achieved through small teams. Acknowledging the needs of those we serve. UNR Med takes inclusion to heart. We value transparency and data-informed decision-making, which means inviting employees, learners, patients and community partners into the conversation. The targeted priorities for culture are informed and led by our stakeholders. Building relationships. 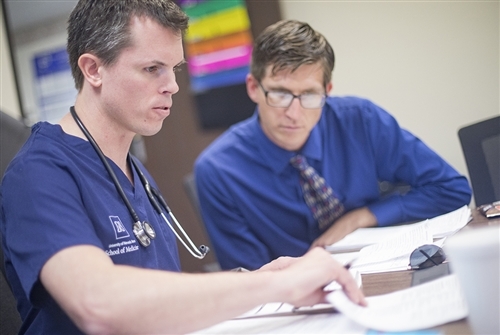 As a community-based medical school, UNR Med understands the importance of collaboration. We constantly strive to create new connections internally and externally to promote the quality and growth of our mission areas. Celebrating our differences. The strength of our "pack" directly relates to our diversity. 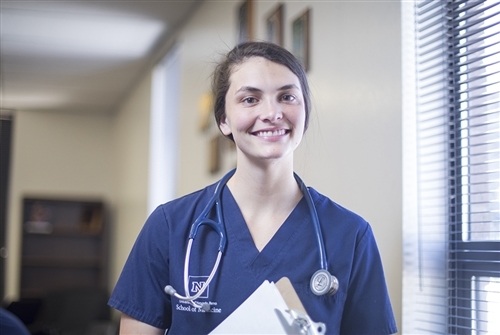 UNR Med understands that to get a job done, we need to see a situation from different perspectives, from individuals who have different experiences and with different skill sets. We are singularly strong and collectively powerful. With our sights on establishing UNR Med as an employer of choice and building our capacity to implement our strategy, the Culture Initiative began. In 2018, the initiative provided opportunities for internal stakeholders to assess their individual UNR Med experiences through in-person Data Dialogues, followed by the assembly of small teams charged with designing plans for positive culture change. Core Values: We have defined core values for which we will be accountable. Agreement: When disagreements occur, we work toward "win-win" solutions. Empowerment: We believe that we can all have a positive impact. Capability Development: We invest in developing leadership capabilities to be UNR Med's competitive advantage. Goals & Objectives: We continuously track our progress against our stated goals. We have embraced our transformation into a school of medicine fully-based in northern Nevada. The creation of a "new" school with a 50-year tradition and history was made possible through a rigorous, data-informed process to understand our identity, our partners and, perhaps most importantly, our opportunities in serving our region and state. Our strategy acknowledges a changing educational and health care environment, including how we develop a local presence with a statewide vision, how we serve our rural partners, and how we become a major partner with other health care institutions to achieve our vision of "A Healthy Nevada." UNR Med's strategic planning process has been, and continues to be, an adaptive, community-driven effort. In August 2015, the Strategic Plan Steering Committee surveyed the UNR Med community for guidance. Eight primary areas of institutional growth and planning emerged from the data. The School of Medicine community helped prioritize the objectives according to vision alignment, urgency and resource intensity which helped define the five initiatives that are the focus of our 2017-2019 strategic plan: expanding curriculum, graduate medical education, clinical and translational research, strategic recruitment, institutional identity and climate. In October 2018, the UNR Med community participated in an updated survey to guide the Strategic Planning Steering Committee in identifying priorities for the next three years. The new institutional strategic plan will launch in July 2019. Guide the direction of our True North! To get involved with True North, contact Carolyn Brayko, director, Organizational Development and Strategic Planning. We will strengthen the infrastructural departments to expand and create the tools and resources needed to actualize the institutional strategic plan. We will provide an integrated and rigorous 4-year curriculum rooted in the northern Nevada community. We will establish the support, infrastructure and resources to implement northern Nevada residency expansion. We will develop an institutional research strategy and invest in a clinical research enterprise. 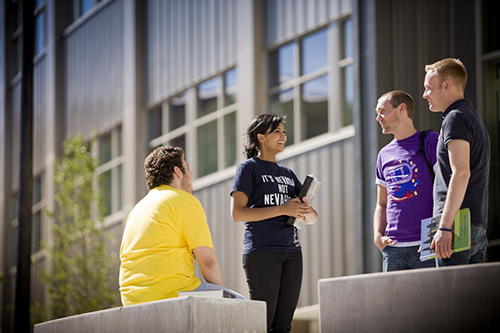 We will recruit diverse, top faculty and medical students to northern Nevada. We will further develop and promote UNR Med as an outstanding, inclusive and high-quality community-based medical school.